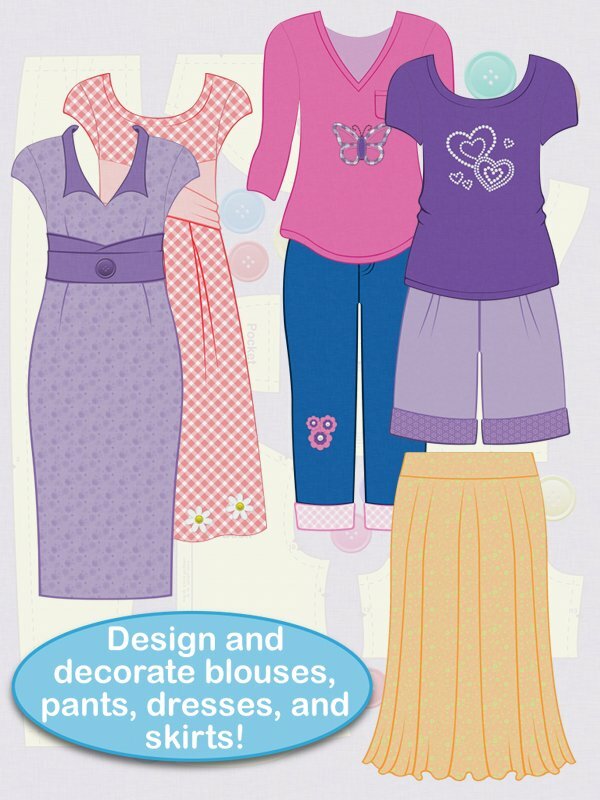 Let your little one design clothes that you'd actually let her wear! Design skirts, dresses, blouses and pants with a variety of styles, sleeves, collars, lengths and pockets. Further tailor your clothing with a rainbow of fabric colors and patterns, buttons, appliques, rhinestones and other frills. Once you've designed the perfect piece, try it on your model, which can be customized to look like you or one of your friends. All of your creations are automatically saved in your closet, so you can mix and match for splendid or silly outfits! Fashion Doodle brings out the fashion designer in everyone!